Golden Willow Counseling: A clinic dedicated to serving our community’s mental wellness needs. Golden Willow is a client oriented mental health counseling center in which counseling is offered to help those in their times of needed emotional support. Golden Willow Counseling specializes in many modalities of counseling in order meet the client and their family’s needs. We work with children, adolescents, adults, couples, and families. We collaborate with many organizations and private practice therapists to help provide the best wrap-around services for the client. Golden Willow Counseling is a mental health counseling center located in Taos, New Mexico. 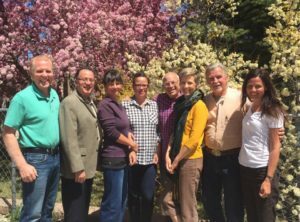 Visit our affiliate organization, Golden Willow Retreat: A Sanctuary for Loss, Transition, and Recovery.